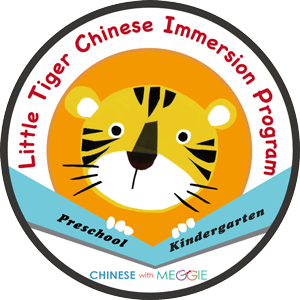 Little Tiger Chinese Immersion School’s teachers and staff hold the credentials and skills necessary to meet the needs of young children including CPR and First Aid certification. All of our teachers possess extensive classroom experience, master’s degree level training in foreign language education, and expertise in early childhood education. Most importantly, our teachers are energetic, engaging, and love working with children. Meggie Chou founded Chinese with Meggie in 2006 and serves as the school’s director. Originally from Taiwan, Meggie holds a BFA in Studio Art from the Art Institute of Chicago and a Masters degree from UT-Austin. She also attended Rice University’s Institute for Chinese Language Teaching. Meggie believes in the power of language education at an early age and is dedicated to creating a fun, productive and engaging environment at Chinese with Meggie. In addition to directing the school, she also leads her teaching team in developing innovative programs and learning materials. Most recently, she authored Diving into Chinese, a series of 40 books for young Chinese language learners. The books are published by China Sprout and Higher Education Press; ebooks for the iPad are available through the iTunes Bookstore. Jiao Li is the Director of the Little Tiger program as well as the assistant director of Chinese with Meggie. 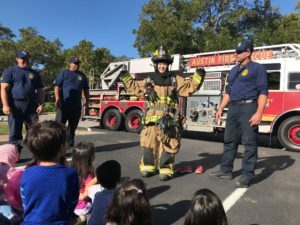 She moved to Austin from Minnesota, where she was a full-time Chinese immersion classroom teacher in the Eisenhower Elementary/Xinxing Academy for 6 years. She has a M.A. in TESOL (teaching English as a second language) from University of Florida, and a B.A. in Elementary Education from Nanjing Normal University in China. She also holds a TESOL certificate from FL, K-6 teacher licensure from both MN and TX, and K-12 teacher licensure from China. Before moving to the US, she taught middle school English in China for 3 years. She is passionate teacher and loves using her energy and creativity to make the classroom an exciting and engaging place for students. Cecilia Lin graduated from Oklahoma City University with an M.A. in TESOL before going on to take six modules of doctoral coursework at Durham University in England. Cecilia has a lifetime teaching credential to teach college students in Taiwan, where she has taught as a university instructor and a teacher trainer. For the eight years prior to joining CWM/LTP, she was a Chinese immersion teacher at Yinghua Academy, a public charter school in Minnesota, and at Springbridge International bilingual school in California. Ceclia has demonstrated her leadership as a team lead teacher, school mentor teacher, and professional learning community (PLC) Lead in her previous schools. She also has managed and conducted summer teacher training programs for Chinese immersion professionals during her time at Yinghua Academy. She is passionate about teaching and especially about helping students to achieve academic success. Ms. Yuxia received her Masters Degree in Teaching Chinese as a Second Language from Jinan University in Guangzhou, and she holds K-12 certification in China. Before joining the Chinese with Meggie and Little Tiger team, she had more than three years experience teaching Chinese in China and abroad. Among her previous teaching positions, she was a Chinese teacher for the Confucius Institute in Bangkok, where she also learned to speak Thai. Her passion for teaching is equally matched by her passion for learning. Ms. Yi earned her undergraduate degrees in literature, music, and performing arts from Zhejiang Teaching University and is certified as a K-12 teacher in China. She also holds a Master’s Degree in Chinese Linguistics and Teaching Chinese as a Foreign Language from the University of Arizona. After completing her education, she gained more than 10 years of experience teaching Chinese in the US. Prior to relocating to Austin, she oversaw Chinese language and culture programs for the Confucius Institute at the University of Arizona. Assistant Teachers are chosen from our current CWM teacher team. All Assistant Teachers possess extensive classroom experience, master’s degree level training in foreign language education, and expertise in early childhood education. Mandy Chen originally comes from Taipei, Taiwan, where she received her B.A. in Childhood Education from National Taiwan Normal University. After arriving in the US, she pursued her MA in Curriculum and Instruction with Culturally and Linguistically Diverse Education from University of Colorado, Denver. She also holds the certificate of Teaching Chinese as a Second Language, and a TESOL certificate. Her classroom experience includes two years as an assistant teacher in the GreenField Preschool in Taiwan. In US, she has assisted in ESL classrooms and volunteered as a Chinese teacher at the Colorado Chinese Language School. Since joining CWM in early 2016, Mandy has enjoyed working with kids in CWM’s fun, creative, interactive and challenging enviornment. Originally from Tianjin, China, Sizhi Han obtained her BA in English Education from Tianjin Normal University and her Masters in Curriculum and Instruction from the Univerisity of Texas at Austin. Before joining Chinese with Meggie, she worked with children from six months to six years old at the UT Child Development Center. As a Chinese teacher, she values the cultural and linguistic diversity of children and hopes to help children develop a bilingual/multilingual identity through fun and creative Chinese classes. She also believes that a new language can provide a new perspective for children to see and think about their world. Rong Ann Chou is originally from Taipei, Taiwan, where she received her Bachelor of Education in the division of Early Childhood Development and Education at National Taiwan Normal University. After completing her undergraduate studies, Rong Ann served as a research assistant for the Child Development Survey Project and Parent Education and Material Design Projects at NTNU, in cooperation with Taiwan’s Ministry of Science and Technology and Ministry of Education. Following her passion for education and cultural exploration, Rong Ann continued her education by pursuing a M.Ed. in Curriculum and Instruction in Early Childhood Education at The University of Texas at Austin. Before joining Chinese with Meggie in 2017, she worked at The Flawn Child and Family Laboratory and Child Development Center at UT. Rong Ann believes deeply in the uniqueness of each child. She strives to create a positive atmosphere and rich environment to support her students’ growth and to help them to achieve their potential. In her spare time, Rong Ann loves to spend time with family and friends, travel, cook, read books, and watch movies. Wenxi is originally from the historic Chinese city of Xi’an. She received her Bachelor of Education in English Education from University of Xi’an. With the passion of teaching, she came to U.S. and obtained her Master of Education in TESOL (Teaching English to Speakers of Other Languages) from University of Georgia. Wenxi has a passion for learning and teaching language. In China, she holds a K-12 Teaching Certification. Before moving to Austin, she gained experience teaching Mandarin in Montessori and dual language schools in Atlanta. At the same time, she learned Japanese in order to continue exploring languages for herself. Wenxi also loves music, and enjoys sharing this love with students by bringing her violin skill to the classroom. Janice Hervey joined the Little Tiger program as an English Language arts instructor in fall 2017. Prior to Little Tiger, Janice has taught for 12 years, most recently at Perez Elementary School in AISD. She also has extensive experience in teaching within dual-language and English as a Second Language contexts, in both public and private schools. She is certified as an Early Elementary Teacher and also holds a bachelor’s degree in Psychology. She is a life long learner and wishes to instill a lifetime love of learning in her students. All teachers at Little Tiger and Chinese with Meggie Language School have passed a background check with theTexas Department of Public Safety’s Fingerprint-based Applicant Clearinghouse of Texas (FACT). All teachers at CWM Little Tiger Program have taken part in and received certification in the standard American Red Cross First Aid/CPR/AED – Pediatrics training course.